HELSINKI, July 16./TASS/. 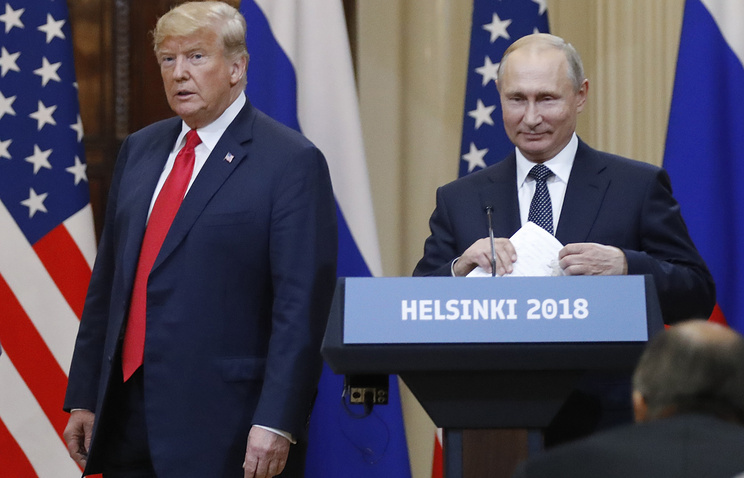 Russian President Vladimir Putin has called his summit talks with US President Donald Trump the first move towards "clearing the backlog" of problems in relations between the two countries. "Of course, numerous problems persist, and we have failed to clear the backlog in full, it was impossible to do this, but I believe we have made the first important step in that direction," Putin told a news conference after the summit talks in Helsinki on Monday. The talks with Trump were useful and successful, according to Putin. "The talks with President of the United States Mr. Donald Trump were held in a frank, business-like atmosphere," he said. "I view them as successful and useful." According to Putin, the two presidents "focused on the current state of and potential for Russian-US relations along with relevant international issues." 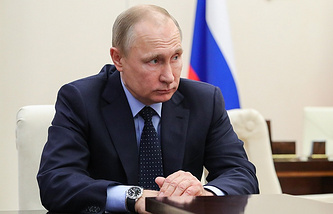 "It is evident that bilateral relations are going through tough times, but those difficulties and the current tense atmosphere have no objective reasons," Putin confirmed. "The Cold War ended long ago, the era of acute ideological confrontation between the two countries is a thing of the past, and the situation has drastically changed in the world," he explained. Putin also said he was satisfied in general with results of the talks. "On the whole, we’re satisfied with our first full-scale meeting," he said. "President Trump and I have had a great conversation and I hope we’ve begun to understand each other better." The Russian leader thanked host Finland for ensuring the working atmosphere of the summit. "I am grateful to the Finnish leadership, the Finnish people, the residents of Helsinki for what has been done," Putin said. "We know that we have inconvenienced the residents of Helsinki, and we apologize for that," the Russian leader added. Putin is sure that Russia and the United States must join forces to combat common threats. "Today, both Russia and the US face completely different challenges: dangerous destabilization of international security and stability mechanisms, regional crises, the spread of terrorism and transnational crime, criminality, increasing global economic problems, ecological and other risks. 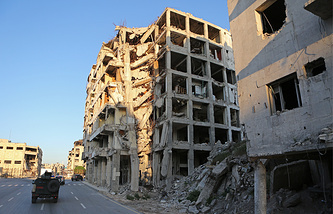 We can tackle all these only by joining forces," the Russian leader stressed. "I hope we and our American partners will understand this," Putin noted. According to Putin, "today’s talks have reflected that President Trump and I are both interested in fixing the negative state of our bilateral relations, outlining the first steps for their improvement, restoring an acceptable level of trust and returning to former levels of cooperation on all issues of mutual interest." Moscow and Washington have the necessary components for cooperation in settling the Syrian situation and can take up leadership in assisting efforts for overcoming the humanitarian crisis in Syria, Putin said. "Russia and the United States can undoubtedly assume leadership on this issue and organize interaction in overcoming the humanitarian crisis and help refugees return to their homes," Putin said, stressing that Russia and the US had all the necessary components for interaction on Syria. As Putin also said, the Russian and US militaries had acquired the useful experience of interaction and coordination and organized prompt communication channels, which had helped prevent dangerous incidents and unpredictable combat engagements in the air and on the ground. Speaking about regional crises, Putin stressed that the positions of Moscow and Washington "do not coincide everywhere and on all the issues" but "there are also a lot of common interests." "It is necessary to look for points of contact, including at international forums," Putin said. Allegations about Russia’s meddling with the 2016 presidential election in the United States have been proven to be groundless during court hearings, Putin noted. "We have heard accusations against Concord Co. As far as I know, this company hired American lawyers and all these accusations are coming apart in a US court," he said. "Look at what is happening in court. This is what one should rely upon, rather than on rumors." In mid-February, US authorities officially pressed charges against 13 Russian nationals and three Russian organizations accusing them of trying to meddle with the US political process and the 2016 presidential campaign. The 37-page indictment was released by US Special Counsel Robert Mueller. Among those charged are 12 employees of Russia’s Internet Research Agency, which, according to the indictment, had been engaged in operations seeking to interfere with the political process in the United States since 2014. Apart from that, Mueller brought charges against Russian businessman Yevgeny Prigozhin accusing him of financing an anti-US information campaign conducted by the Internet Research Agency. The funds, according to US investigators, came from Prigozhin and his companies, including Concord Management and Consulting and Concord Catering. Kremlin Spokesman Dmitry Peskov said earlier that the Mueller investigation was absolutely futile. "We say it is Russian ‘plowing the sands," he noted. Putin has acknowledged the differences in Russian and US positions on Crimea, saying along with it the issue is off the table for Moscow. "The position of President [Donald Trump] on Crimea is well-known and he abides by it as he speaks about the illegitimacy of Crimea's reunification with Russia," the Russian leader stated. "On our part, we have a different viewpoint as we believe the referendum [in March 2014 on Crimea's reunification with Russia TASS] was held in strict compliance with international law and with the UN Charter," Putin said. "As far as we, the Russian Federation, are concerned, this issue is off the table. Period." On March 16, a referendum on reunification with Russia [Crimea was transferred under the jurisdiction of the Ukrainian Soviet Socialist Republic in 1954 and Sevastopol, in 1990 - TASS] was held on the peninsula, with the voter turnout at the polls exceeding 80% of registered voters. As many as 96.77% voters in the Republic of Crimea and 95.6% voters in Sevastopol supported the reunification. On March 18, the Republic of Crimea and Sevastopol signed a treaty with Russia on incorporation in the latter.